The original font for all lovers. Sabrina is a 1954 American romantic comedy film directed by Billy Wilder, adapted for the screen by Wilder, Samuel A. Taylor, and Ernest Lehman from Taylor's play Sabrina Fair. It stars Humphrey Bogart, Audrey Hepburn, and William Holden. 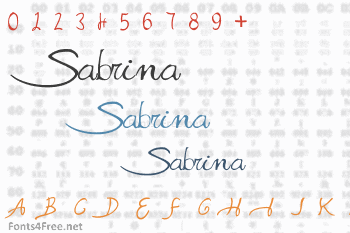 Sabrina Movie font contains 189 defined characters and 99 unique glyphs. 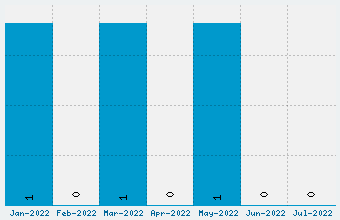 The font contains characters from the following unicode character ranges: Basic Latin (93), Latin-1 Supplement (71), Latin Extended-A (6), Latin Extended-B (1), Spacing Modifier Letters (2), General Punctuation (14), Currency Symbols (1). 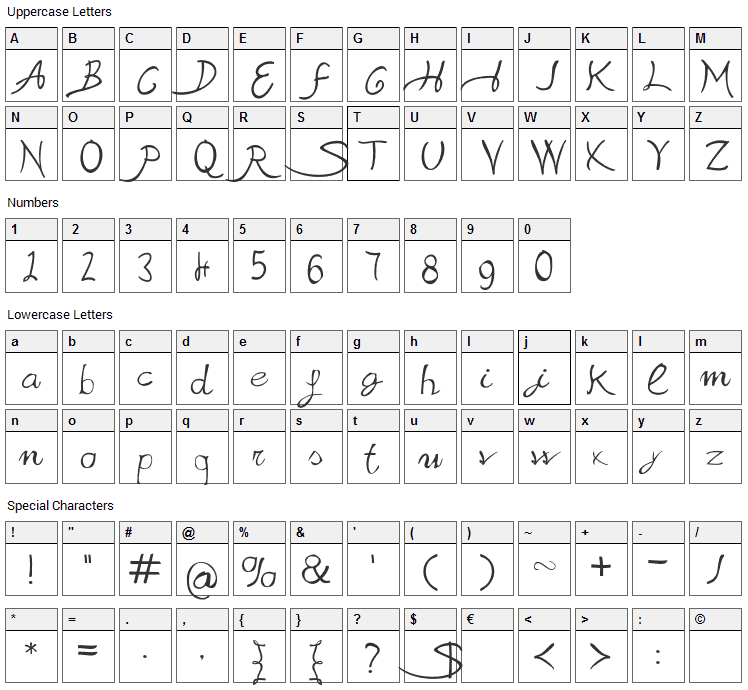 Sabrina Movie is a script, handwritten font designed by Alphabet & Type. The font is licensed as Free. The font is free for both personel and commercial usages. In doubt please refer to the readme file in the font package or contact the designer directly from alphabetype.it.